Long after you are gone, future generations may remember you for the contribution that you made to their lives and the contributions that you made to the world. Whether you want to give to charity to make a difference, hope to help your family build wealth, or are building a company that can provide goods and services for decades to come, you have control over what your legacy is. Hedeker Law can help you to shape the impression you make on the world. Why is a legacy plan important? How can a Lincolnshire legacy planning lawyer help you? Legacy planning is the process of working with an experienced Lincolnshire lawyer to decide how you will build assets and what you will do to make a difference with the wealth that you acquire. While the tools used for legacy planning differ for everyone, the first step in the process is always the same: deciding what you want your legacy to be. Setting savings goals to build enough wealth to achieve your dreams. Incorporating your company and creating a business succession plan so your business can survive you. Taking steps to reduce estate taxes or to avoid estate taxes, so the maximum amount of your wealth goes to heirs and to the causes you care about. Incapacity planning to ensure your investments and assets don’t lose their value if something happens to you. Creating a charitable foundation and/or charitable remainder trust, which can allow you and the charities you care about to benefit the most from your financial contribution. Creating a last will and testament so you can pass on family heirlooms that your loved ones will remember you by. Creating trusts to transfer assets more quickly to heirs so that you reduce the chances of mismanagement. Trusts can also provide the control you need to continue protecting your legacy, even after you have passed away. Your plan may include many of these steps, a few of these steps or none of them at all. When you work with an attorney, the process of legacy planning is personal to your specific situation. Hedeker Law helps you to decide what legal tools can best be used to achieve your goals for making your mark on the world. If you do not control your own legacy, fate is going to control it for you. For example, a serious illness or injury that results in the need for nursing home care could result in your entire nest egg being spent on nursing home bills, with nothing left to leave your loved ones. Even if you do manage to pass away with assets, you could lose your wealth to estate taxes or your family could be left fighting over what should happen to your property. You won’t get to choose who inherits or what charities to support, and your legacy could be one of chaos as your family goes through the probate court process and struggles to determine what division of assets is appropriate. This is not the way anyone should be remembered, and it is not something that you should allow to happen to you. You need to begin the legacy planning process today, as you never know what could happen or what the future holds. 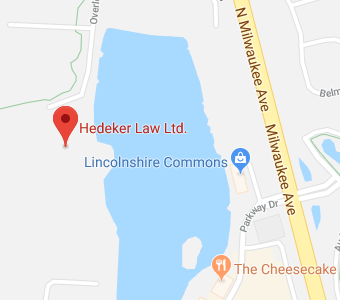 Hedeker Law offers legacy assistance to clients in Lincolnshire and surrounding areas throughout Chicago. To find out more about the ways in which our dedicated and experienced legal team can help you to shape what you want your legacy to be, give us a call at 847-913-5415 or contact us online.